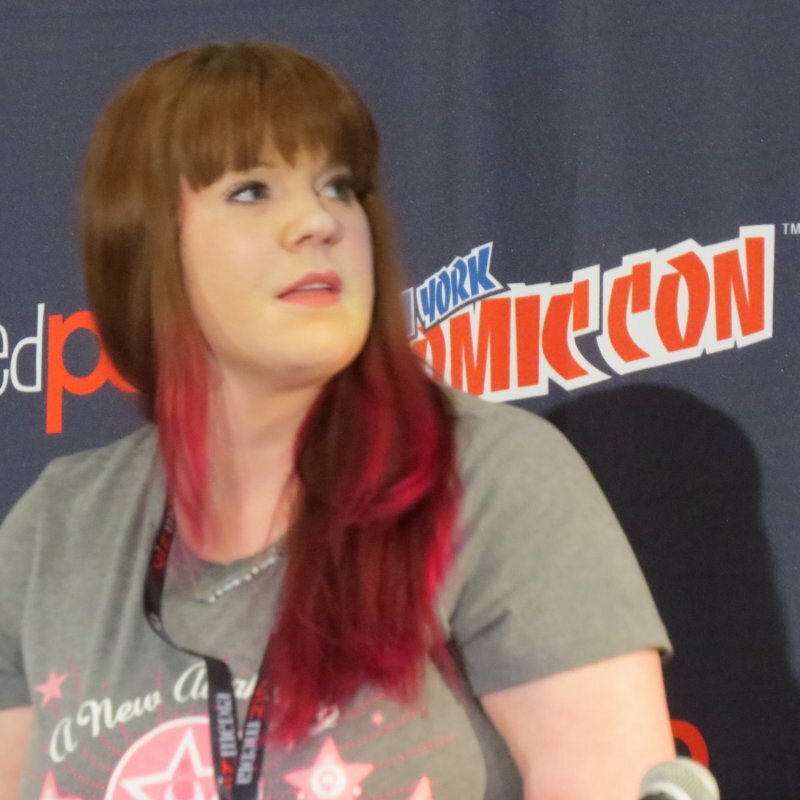 Sailor Moon Panel at NYCC 2015 Featured Crystal Dub and More! Hosted by our most favorite Viz Media person ever, Charlene Ingram, the official Sailor Moon panel kicked off with excitement and good news for the franchise. I have to say, this year I finally felt that I got the same treatment as an attendee of a certain con in California. Ok – I can’t lie.. I’ve been to California for the sole purpose of convention goodness but I shouldn’t have to sit on a plane for 6 hours when I live right near New York Comic Con. Before the panel even began, people were cheering and shouting – it was like being at a rock concert. Really! Viz had wonderful cosplayers from AC Paradise handing out posters and pins (which Otakon attendees would recognize from July). Charlene then showed a video of events from the past year, including SDCC 2014 (in which I saw myself as Sailor Mars!!) which featured a variety of clips from panels, from the Otakon photoshoots, and other Moonie oriented events. Charlene then went over the announcements for Sailor Moon S – which included the voice actors for the outer Sailor Senshi. This information was provided at Otakon so let us skip past that and move on to the brand new announcement for this panel – the voices of Witches 5! The Witches 5 are great because they are catty, fashionable, and fantastically dark. I am sure we are all looking forward to the new dub with these seasoned voice actresses. I can’t wait to watch this! The Sailor Moon R part 2 box set was shown off with all of its shimmery goodness. It was made available early exclusively for NYCC 2015 so if you didn’t get your hands on it at the Viz booth, you’ll need to wait until the official release date. The audience was also treated to a super early preview of the dub for Sailor Moon Crystal. Fans were asked to turn off any recording devices since Viz really doesn’t want the preview leaking before official release. I’m not sure I’m 100% sold on the dub but I will say that the animation is a lot cleaner than the original Japanese stream we watched earlier this year. I’ll definitely purchase Sailor Moon Crystal if the set is reasonably priced. I also hope that Viz doesn’t break it up into two smaller sets since this series is just too short to merit that kind of packaging. The English dub of Sailor Moon Crystal premieres on Viz.com and Hulu this November. Too bad I can’t watch it on my favorite subscription, Crunchyroll. People who were willing to stick around had the opportunity to get themselves immortalized by Viz Media in a video about Sailor Moon that will probably get featured in an upcoming panel.